Vivo modified and fitted Qualcomm’s X50 modem in the Nex S smartphone. The Chinese company says its goal is to launch the first batch of commercial 5G devices by 2019. Recently, market research firm International Data Corporation (IDC) predicted that India will see 5G on smartphones from the second half of 2019. Smartphone maker HTC and Oppo were recently reported to be testing 5G-enabled device. Now, Oppo’s sister brand Vivo has joined the bandwagon and has announced that it has successfully tested the 5G-enabled Nex S smartphone. As per the press communication to GSMArena, Vivo developed a 5G smartphone by modifying its current vivo NEX S flagship and fitting in a Qualcomm’s X50 modem. The smartphone included a non-standalone architecture model that combined both LTE and New Radio (NR) antennas, based on 3GPP Release 15 standards. 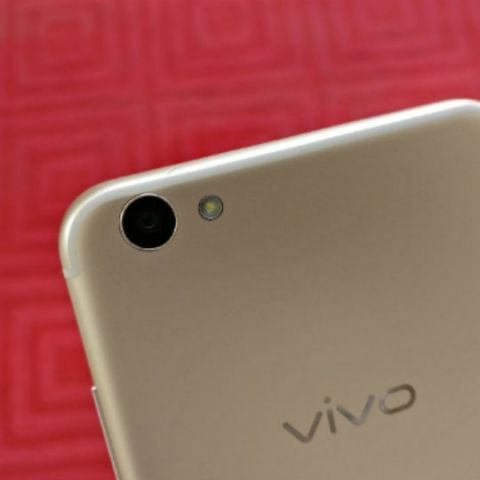 Vivo said that the test has completed the first phase of protocol. Vivo now needs to develop an actual 5G phone and it says its goal is to launch the first batch of commercial 5G devices by 2019. According to the company, China Mobile and Qualcomm have been key partners in the 5G rollout so China could be the first country to get 5G smartphones. When it comes to India, companies like Huawei are already testing affordable 5G equipment. The company and Airtel had successfully conducted 5G network trial under a test set-up at Airtel's Network Experience Centre in Manesar (Gurugram). Ericsson recently opened country's first “Centre of Excellence (CoE) and Innovation Lab” to stimulate the 5G ecosystem in India and give smartphone players a platform to innovate. Earlier this year, Qualcomm announced that it had secured 18 OEM partners to build 5G-ready smartphones and other devices by implementing the new X50 5G modem in 2019. Among the partners are known names like Xiaomi, Sony, Nokia (HMD Global), Vivo, Asus, Oppo, HTC, LG and ZTE. This indicates that we can expect 5G-ready smartphones by 2019 with support for data speeds above 1Gbps.